The iBooks app could be installed on iPhone, iPad or Mac. However, if you have bought books from iBooks Store on iPhone/iPad, you won't see it on Mac, and vice versa. Apple doesn't automatically sync these libraries. Fortunately, you can follow the below options to learn how to sync iBooks between iPhone/iPad and Mac machine. After that, all the content in iBooks, such as your favorite books, audiobooks and PDF files, may be read in different platforms. 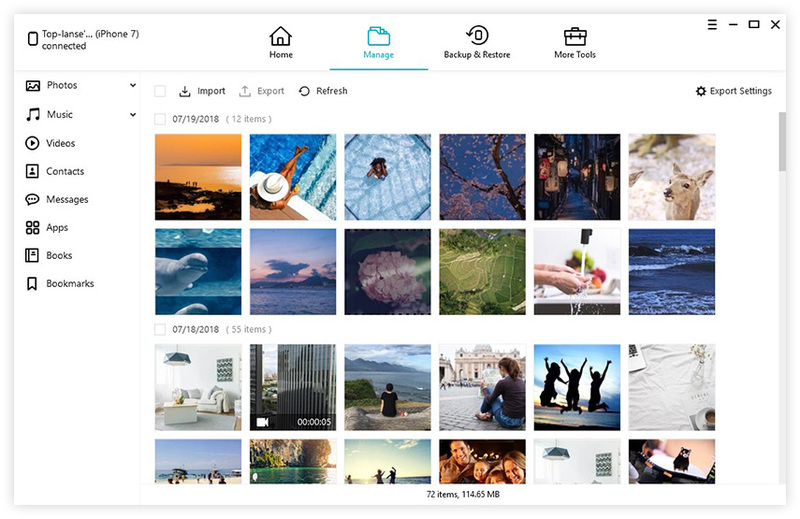 You can easily keep your collections, highlights, notes, and bookmarks up to date across your iPhone, iPad and Mac. Step 1: Open Settings in iPhone/iPad. Find out iBooks option. Step 2: Turn on Sync Bookmarks and Notes and Sync Collections on iBooks settings. After that, your iBooks should now sync. Otherwise, restart your device once it is not syncing. The iBooks application on Mac system is set to sync with iTunes and all iOS devices by default. Every time when you update iBooks information on any iOS device, they will sync to Mac. So just see how to set up sync iBooks in Mac. Step 1: Open iBooks app on Mac and go to Preferences from the upper-left menu. Step 2: After that, tap on General Preferences tab and then make sure Sync bookmarks, highlights, and collections across devices option is selected. Note: In case you have downloaded ebooks from other sources, not the iBooks store, you may have to launch iBooks application on Mac and tap on File. Then click Move Books from iTunes…. Step 1: Connect iPhone/iPad or iPod touch to iTunes on Mac. Be sure the iOS device has downloaded iBooks collection. Step 2: Click Books in the left side after you have connected the device. Then tap on Sync Books to begin the sync. 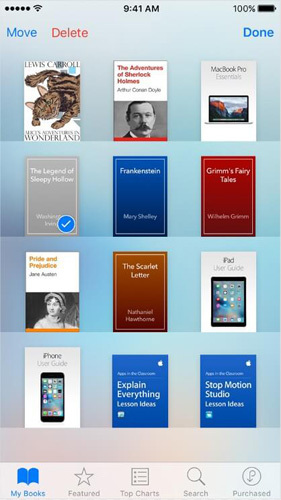 Step 3: After that, your books will be displayed on iBooks app on iPhone under My Books tab. You can use iCloud to sync ebooks throughout all of the Apple devices. When you open iBooks and log into it on an iOS device, it will ask you whether to sync iBooks bookmarks, notes and collections between devices or not. At this time, just tap on Sync when you see this window pop up. Note: Remember that after you store ebooks in iCloud, the next time once you decide to download an ebooks on one of your devices, it won't be downloaded automatically to other Apple devices. Consequently, you have to download it partly on each device that you would like to sync. In this way, you can use the third-party software to sync iBooks to between iPhone/iPad and Mac with just one click. Tenorshare Tenorshare iCareFone is a well-known iOS system care program to manage files in iOS devices, including iPhone, iPad and iPod touch. In order to know how to use it clearly, you had better see the instruction as below. Step 1: Download, install and start Tenorshare iCareFone for Mac to your Mac machine. Connect iPhone to Mac and then you are able to see the main interface with the 6 professional functions. Step 2: Click File Manager and then to see its features. Just tap on iBooks from the 9 file types directly. Step 3: Then you can see all the iBooks documents in your iPhone. Just select your target one and then click Export button to transfer it to Mac. Note: The ePub books you purchased from iBooks Store is removed DRM after using Tenorshare iCareFone to export. Consequently, you can feel free to read it on Mac. Step 4: Choose the correct path that you are willing to save iBooks file and then exit Tenorshare iCareFone. This is about how to export iBooks from iPhone/iPad to Mac, to sync iBooks from Mac to iPhone/iPad, just click the Import button and follow the similar steps above. Now these are the ways you can enjoy to sync iBooks between Mac and iPhone/iPad device. Hope you enjoy reading books everywhere on every device. Is there anything else you'd like to know about iBooks? Welcome to share them with us in the comment below.